I had one of the awesomest (extended) weekends ever! I spent it with friends to celebrate our friend's birthday. It was packed with adventure and we were, likewise, packed with sooooo much food! 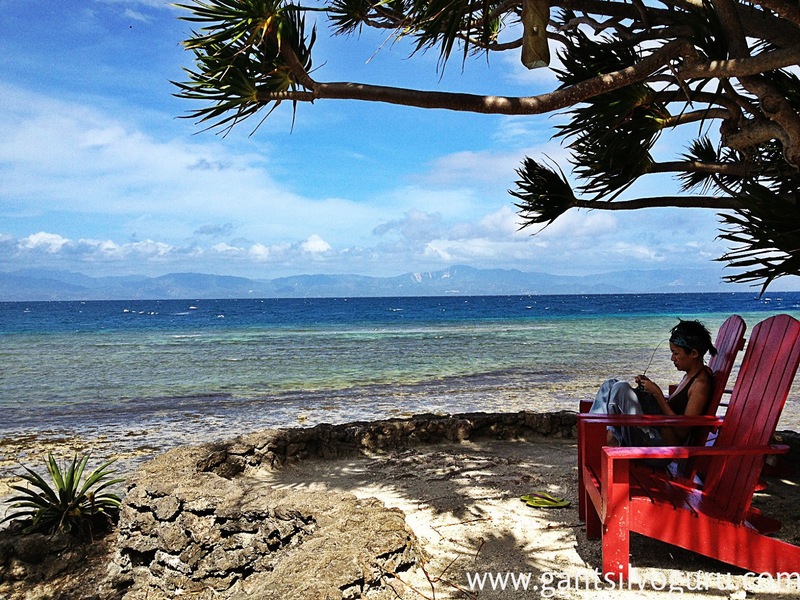 We stayed in one of the most beautiful resorts in Moalboal: Hale Manna (more on this in my next blog entry). It's paradise! I also had to take this opportunity to take my crochet to places! My first stop was the airport, of course. 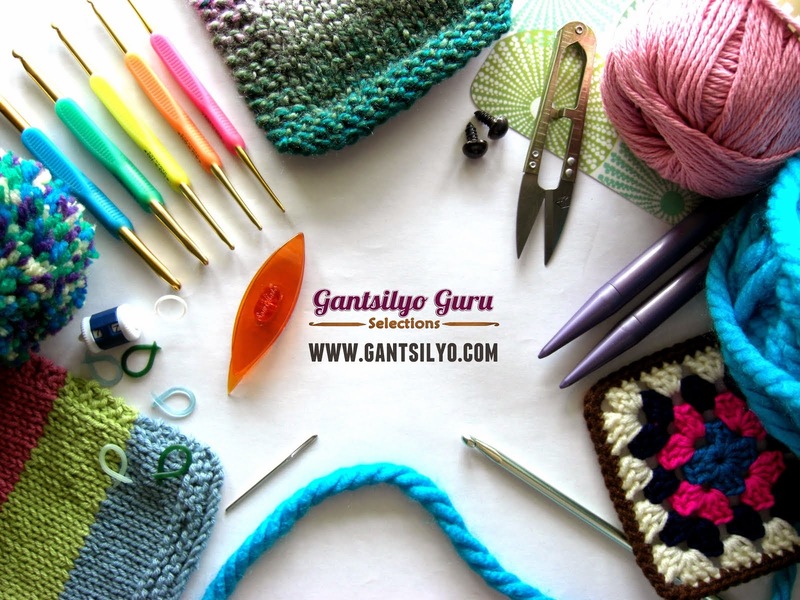 I checked in my crochet hook set and scissors but included in my hand-carry bag one aluminum crochet hook and ball of yarn, so I can crochet in the plane. I'm relieved it went through the checks! 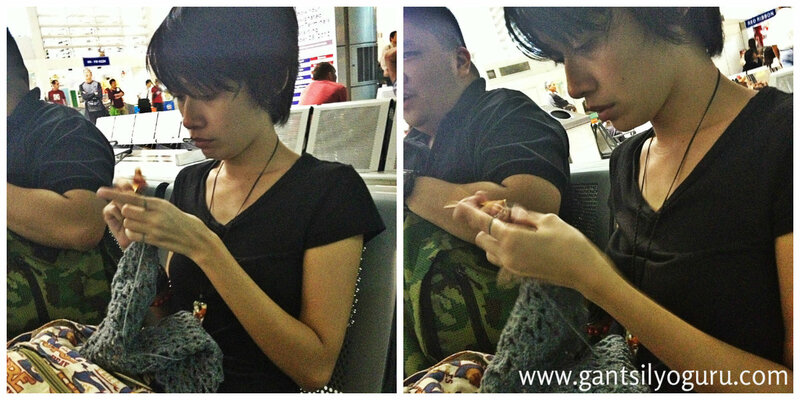 That's me crocheting inside Terminal 2 while waiting for our boarding. I look really serious crocheting :p In the picture above, I just started making a grey shawl that was ordered from me by a friend. 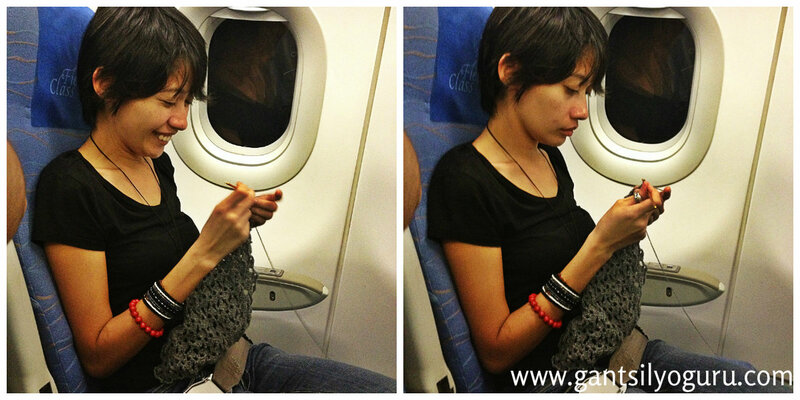 As you can see in the picture on the left, I started off very jolly and amused by the fact that I am actually crocheting in a plane :p Then I got a bit dizzy doing it :p You can obviously see that in the "after" picture on the right. I've always had problems reading in a moving vehicle, so I guess same goes for me when crocheting in a (flying) plane. Oh well, at least I tried! I don't even know how to describe this place. 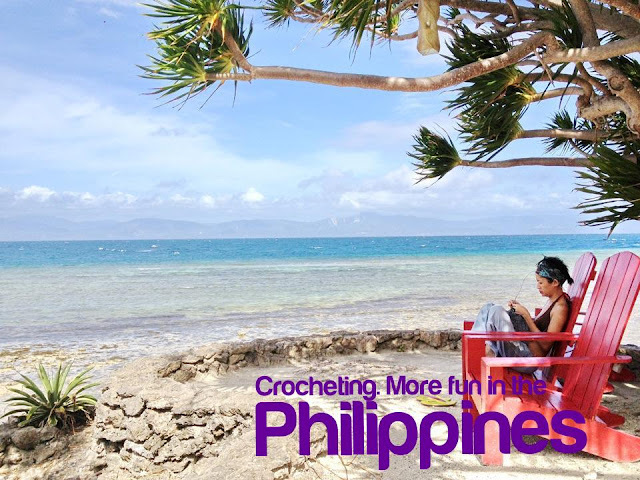 It's just awesome :p I'll be telling you all about my crochet vacay and adventures in Moalboal in my next blog post!